It seems everyone loves krispie treats! Here is a scrumptious twist on an old favorite. 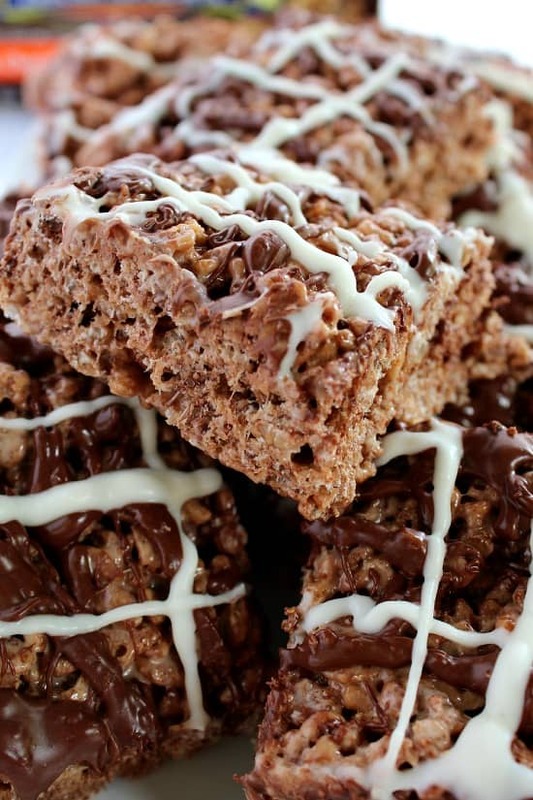 These chocolate toffee krispie treats are so chewy and delicious, and super easy to make! The chocolate and the toffee added makes these a super special treats everyone is sure to love. My chocolate drizzle was a little thick in some spots and I’m good with that because it only made them more chocolaty. Also, I always use extra marshmallow when I make any kind of krispie treat because it makes them extra chewy which makes them especially delicious! Yum! 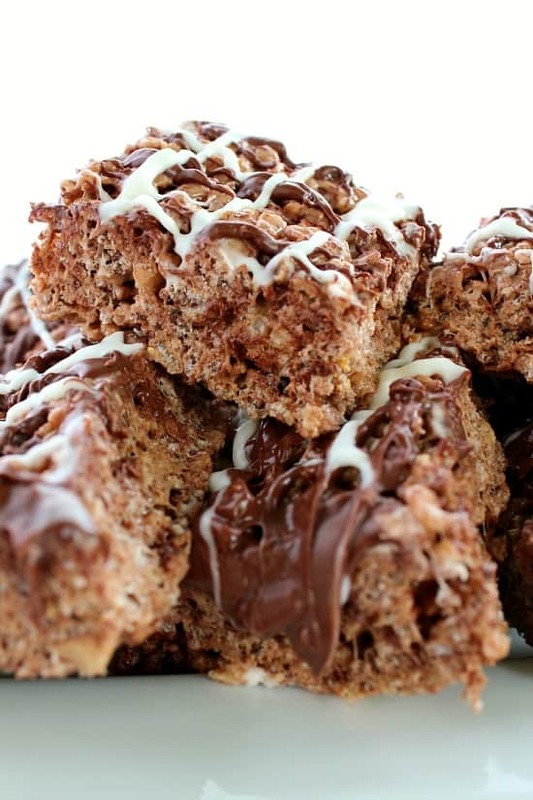 These chocolate toffee krispie treats are quick to put together and sure to be a hit! 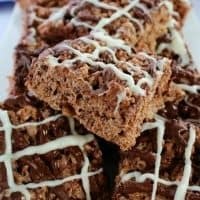 So give these a try the next time you are going to whip up some krispie treats! Butter a 9 x 13 in. baking dish, or coat with cooking spray, set aside. Once melted, stir in marshmallows. Continue stirring and cook over low heat until marshmallows are completely melted. 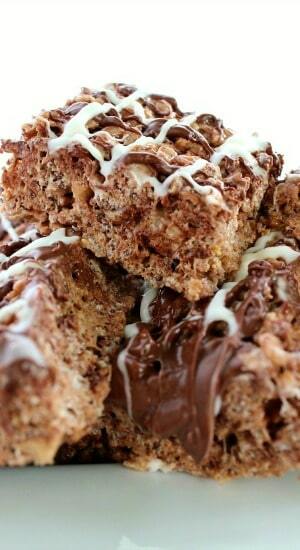 Remove from heat and stir in cocoa krispies until well coated. Stir in milk chocolate toffee bits. With a buttered spatula, press mixture into prepared baking dish. 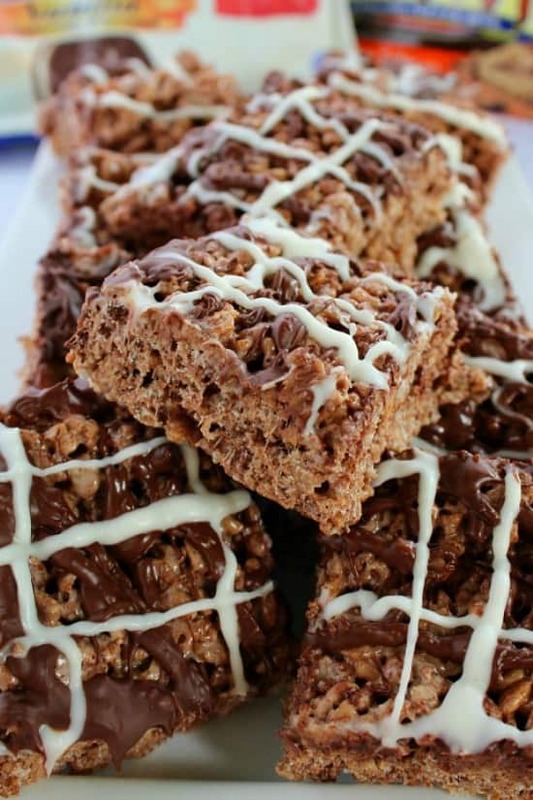 Once cooled, melt chocolate chips and drizzle over krispie treats. 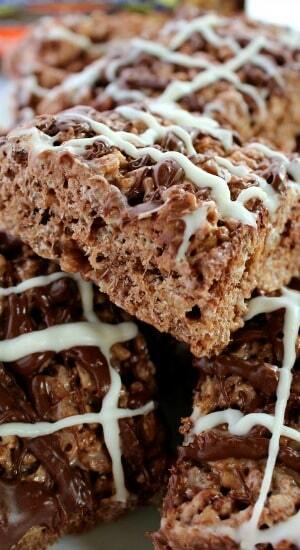 Melt white chocolate squares and drizzle over krispie treats (I used vanilla Candiquik). Let chocolate cool, cut into squares and enjoy!